Have you ever felt like something in your physical body was not right? Maybe you have constant headaches, or neck and back pain plague your every day flow? These are all signs that a greater problem exists. Symptoms…that there is a root cause beneath the surface. Have you ever been driving your car and something feel like it is just “off”? You let go of the steering wheel and it pulls to one side in specific? Definitely interrupts your carpool make-up application…can I get a witness? Both of these very different examples of the same underlying issue…you are out of alignment. Nothing a quick trip to the chiropractor or auto mechanic can’t fix. But, what happens when your life feels like this? You’re doing all the right things, working hard, pushing through, spending time in devotion…and you feel like you are not making any headway. This has been the last two months of my life. I’m going to be vulnerable about something that I will post further about in the future…but today I want to share with you about how something being out of alignment in my family/life, literally made me take a closer look at the “symptoms” and discover the root. I love being a mother. I love the whole experience. I adore caring for, serving, building humans. During the months of September and October, I felt like I was spinning my wheels. Taking care of my kids, working hard, encouraging them, building them, breathing upon the God movement in their lives, packing lunches, making dinners, seeing they had what they needed to make every day a WIN. None of it seemed to be enough. Not that they were ungrateful (although let’s be honest is any kid every really super aware of all that we do?). I spent days on end picking my kids up from school early, this one sick today, that one sick tomorrow, and when you have 4….this can be full-time. Did I mention, I love being a mother? I do, totally do. But some days I wanted to scream – “I don’t know if you know this, but I have a life!” Lol :). Sickness, anxiety, panic attacks, filling out forms, doing damage control…(repeat). None of this the life I want for my children. Something had to give. And then one day…I had enough. I begin to ask my kids privately about what was going on at the core. I stopped treating the symptoms and addressed the root. When it got down to it, my particular Tribe (everyone’s is different), was out of alignment. The schools they were attending every day were the root. Now this is not a public school bashing post, or a private school endorsement, or a home-school validation, but rather a mom locating and addressing an out of alignment home. All it took was a “real” conversation with one of my children for all of them to follow suit and fess up. Immediately, my husband and I begin doing some research and finding the “right fit” for our family. Let me be frank, young people are not living in the same world we were living in. Their fight is different from ours and if you want to fool yourself into thinking it’s the same – you’re altogether missing it. My children, with our guidance and help, and the favor and blessing of the Lord, chose to leave their uncomfortable comfort-zones, and come into alignment. We made the shift and enrolled them in a Private-Christian Academy. It has only been a matter of less than 2 weeks since the move, and it has been glorious! They come home from school smiling, laughing and talking. They are ready to go every morning…and I don’t feel like I am sending them to learn every day in an environment polar opposite to everything we stand for. It was like the best chiropractic adjustment of your life! 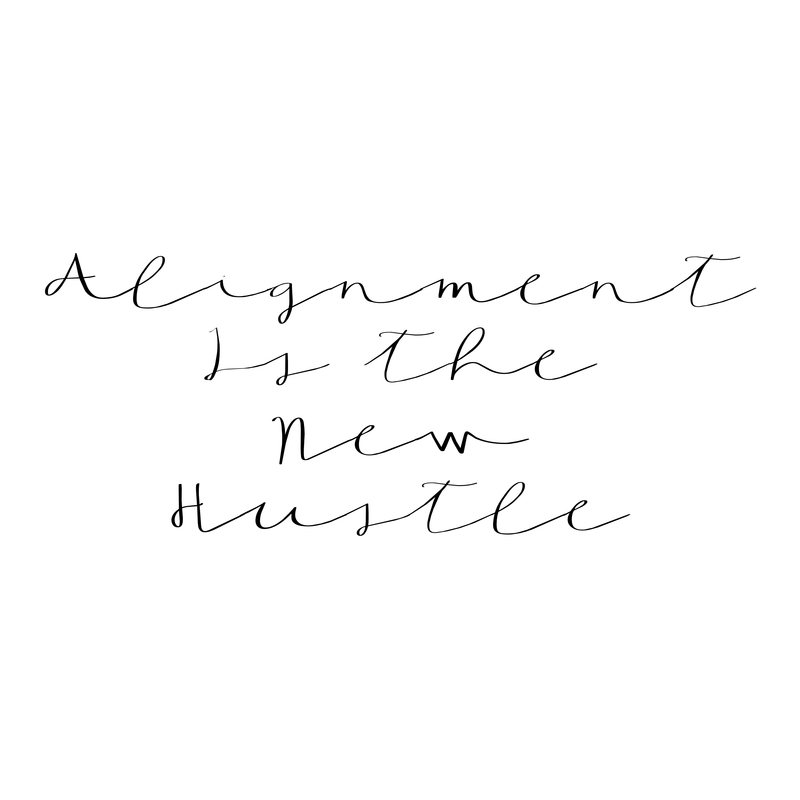 Look for areas that are out of alignment. How do you find them? They will be surrounded by symptoms. Don’t get sidetracked by the symptoms and lose focus on what really needs attention. Prayerfully my experience can save you some struggle and help you see it’s time to line up…in whatever area you may be feeling the pull! Thank you! I know you didn’t mean it as a validation or endorsement… but you took the words out of my mouth! This had been my life from august 15th – october 15th. I have had peace in this area for the last 3 weeks. It feels good to be in alignment! What a great word! Thank you for being the kind of Mom who truly pays attention and who is willing to do the hard work of finding out what is really going on. WIN!